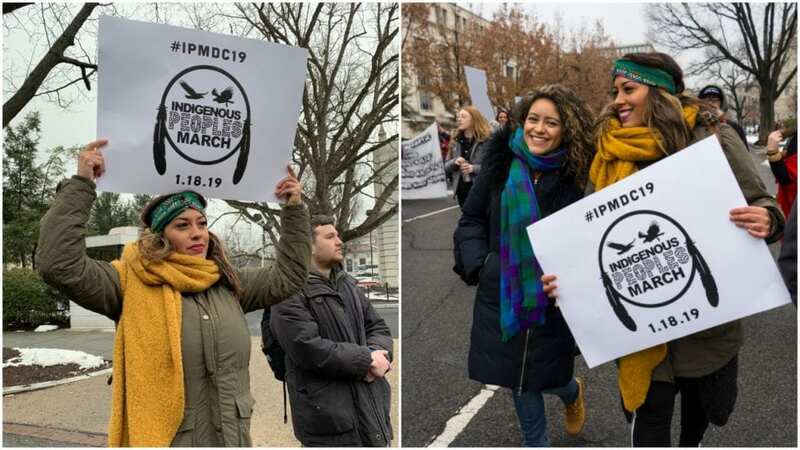 This past weekend, women flooded the streets of cities around-the-world for the 2019 Women’s March. Banding together with clever feminist signs in tow, legions of supporters stood in stark defiance of the sexist rhetoric and gender discriminatory practices that still plague our society. While the Women’s March gained media attention—with images and stories picked up by international outlets—a lesser known march also took place this weekend on the steps of Capitol Hill. 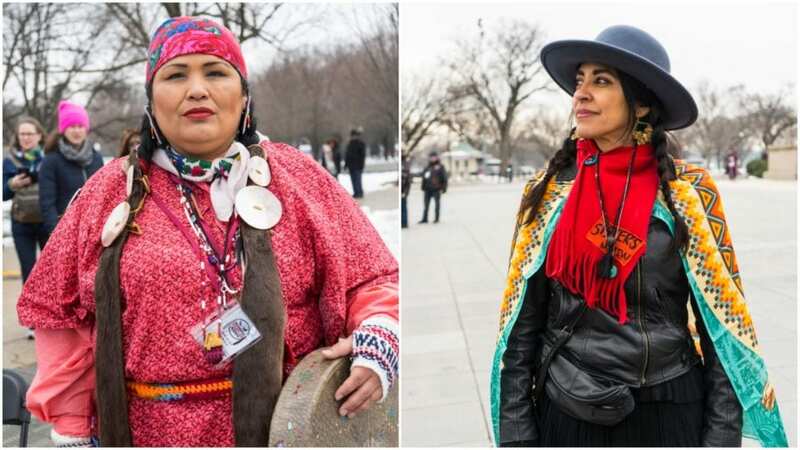 On January 19th, crowds gathered for the Indigenous People’s March at the National Mall in Washington D.C. 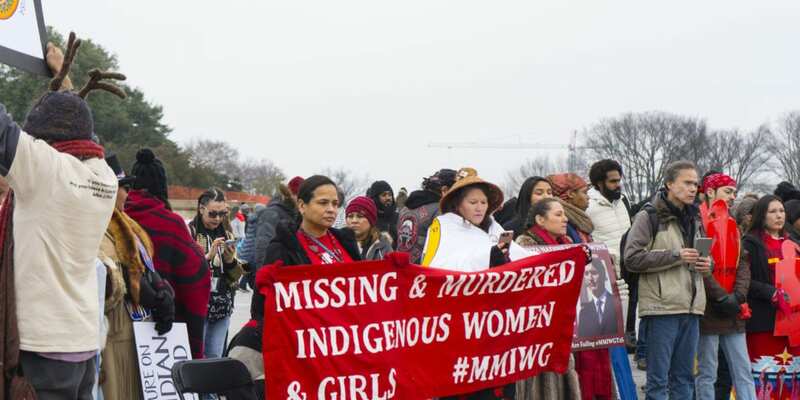 In an effort to draw attention to the injustices against indigenous communities worldwide, the march sought to shine a light on the violence that often befalls native women. On the front lines of the march stood Stephanie Flor, Unearth Women’s Beauty Director and Founder of Around the World Beauty. Flor—who is of Costa Rican and Ecuadorian descent—found herself moved by the poignant messaging of the Indigenous People’s March, which can too often fall on deaf ears. Here, Flor gives us an inside look at the other march that took place this past weekend. 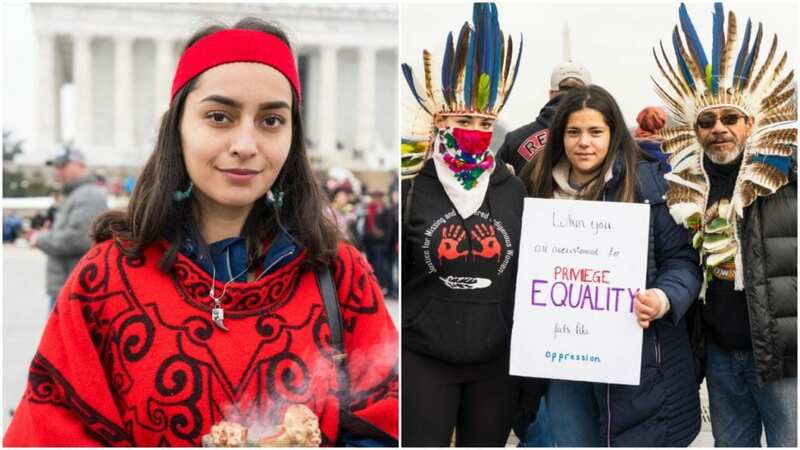 Unearth Women (UW): Why did you feel it’s important to march in D.C. at the People’s Indigenous March? Stephanie Flor (SF): It was important for me to march for the Indigenous People’s March because I have been awakened. I have been awakened, through travel, to my own privilege and it’s impossible for me to no longer stand for the change I wish to see in the world. Being Hispanic—my mother is from Costa Rica and my father is from Ecuador—it has been a long journey to uncover my own heritage of descending from natives that were once part of a great civilization. With everything happening at the border today, all I see is my family, those faces of children that could be of my own, and how only because of a birthright I don’t have to struggle. It was important for me to march to stand for the change I wish to see with our communities, to oppose the abuse of our planet, to say we demand better from our government, and to bring awareness to the history too often left out of textbooks. UW: For those unfamiliar with the Indigenous People’s Movement, can you tell us about its mission? SF: The Indigenous People’s Movement is about bringing awareness to the injustices and genocide happening within the community of all indigenous people across North America, Central America, South America, Oceania, Asia, Africa, and the Caribbean. From missing children and women to injustice and voter suppression, to divided families, and human trafficking, and police/military brutality. The media turns a blind eye, and this march was an attempt to make our voices heard. UW: What was the experience like for you to join the Indigenous March? SF: For me, I had a moment where I had to close my eyes and put my hand on my heart. The words of all the speakers hit home. It was like a history class coming to life, the signs spoke of truth, the beat of the drum made the heart pound faster, and the smell of the sage in the air reminded me we weren’t alone. It was a sacred ceremony in the capital of the United States led by love, and prayers to the water, and our land. We yelled the names of missing women and after we marched, we stood on the Lincoln Memorial stairs and heard from leaders within the community about what is happening in regards to the Dakota Pipeline, sacred land abuse, and other important issues that must come to an end. UW: What were some signs at the march that stick out in your memory? SF: There were two signs that really stuck out to me. The first sign read: “In 1942, Native Americans discovered Columbus lost at sea.” The sign was a wake-up call to an unwritten history. The second sign read: “You can’t discover something that has already been found.” The word “discover” is used in so much marketing nowadays, but these rituals, traditions, and stories have roots. We as new generations must acknowledge that they don’t belong to us, we aren’t discovering anything. We are basically sharing, re-introducing, and bringing awareness to these things once again. UW: On social media, you spoke about the beauty of the Indigenous People’s March. What specifically did you find beautiful about it? SF: For me, beauty lies behind the surface. It’s about women being exactly who they are and standing in all their power and owning all of their magic. I saw beauty in the eyes, varied skin tones, and apparent strength of every woman I crossed paths with. I felt true passion radiating from each woman singing, drumming, dressed in their native adornment. I couldn’t stop asking questions and it made me feel empowered by the people we are, proud of our belief in the natural world. Attending the march elevated my awareness of who I am, who I will become, and who I will continue to be a voice for. I believe for a long time that I never saw myself represented in the media, but here I saw myself in every person and it was powerful.